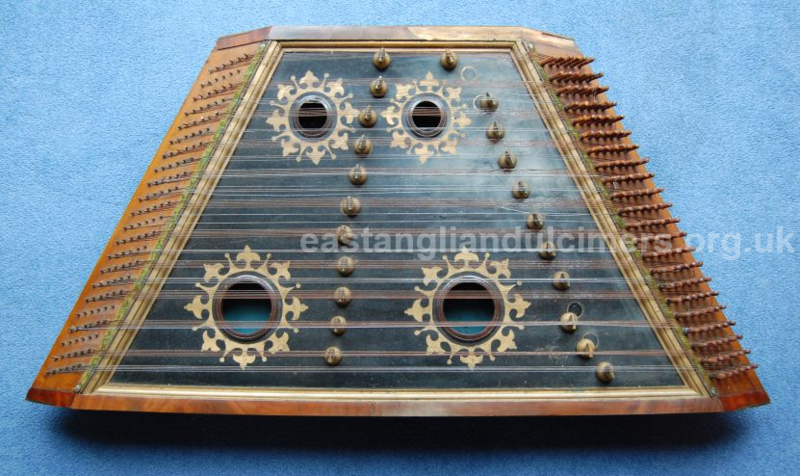 One dulcimer would have a particularly interesting tale to tell if it could only speak! 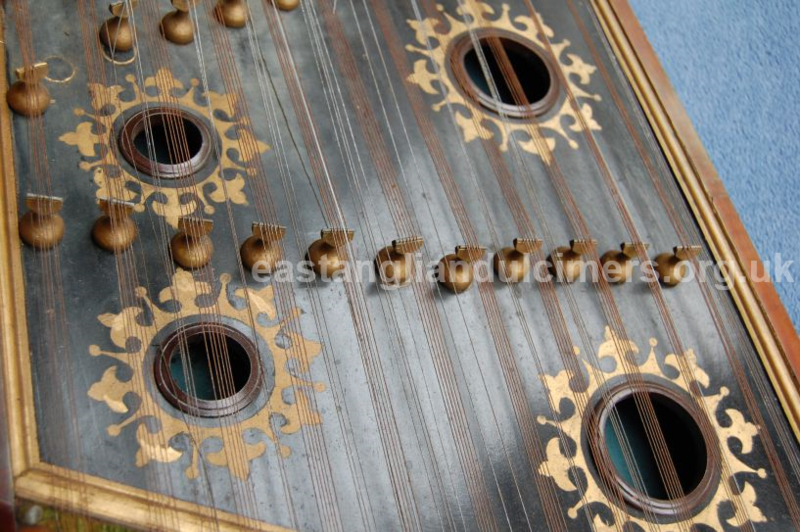 We came across a beautiful dulcimer, made by Mark Widdows of Norwich, in 2005, when Frank Read brought it along to the EATMT Dulcimer Day at Gressenhall Museum in Norfolk. 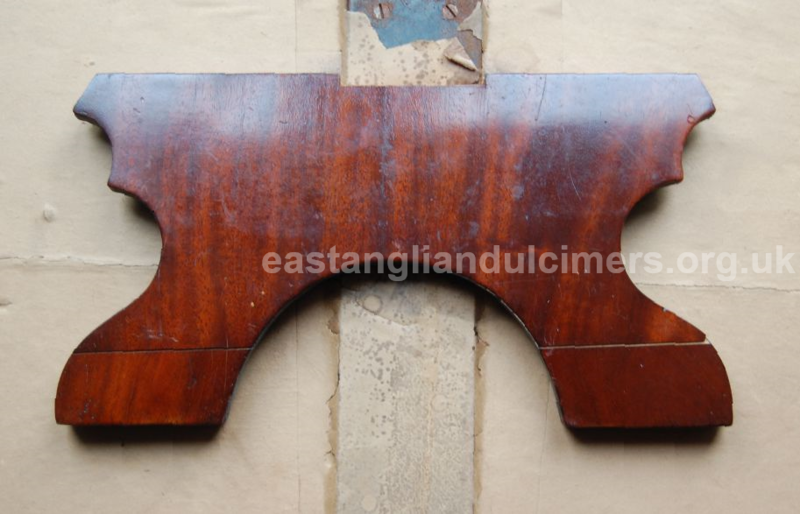 Apart from being a wonderful example of an East Anglian dulcimer, made by the best of the local makers, it clearly had an interesting lineage. 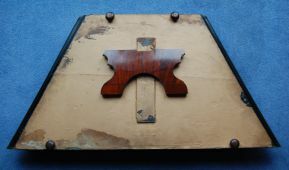 Written on the outside of the case, in pencil, is ‘Henry Edwards’ and inside were various bits of ephemera which indicated he had taken the dulcimer across the Atlantic in the early years of the twentieth century. 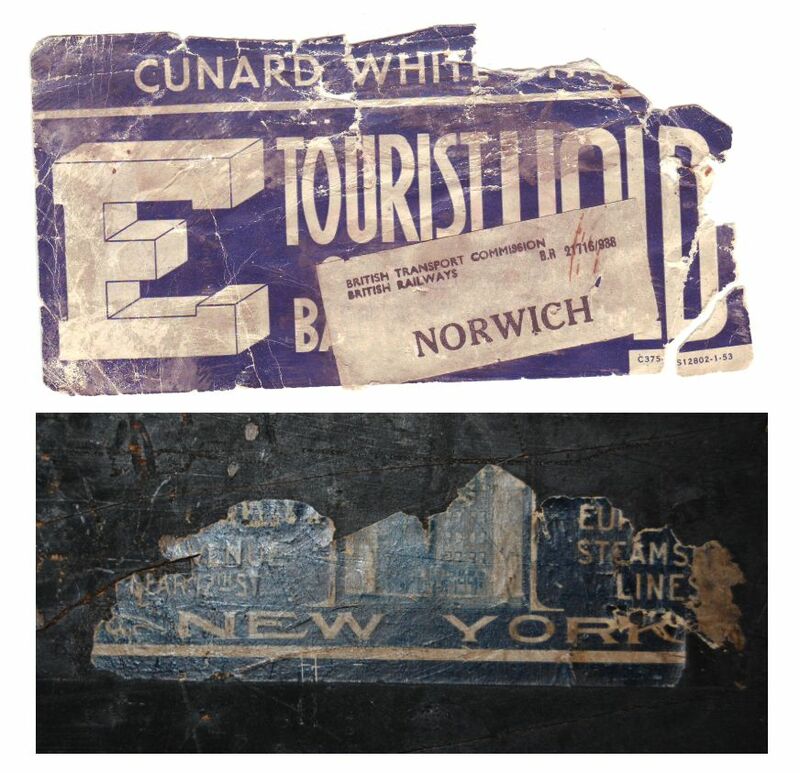 Henry Edwards travelled by train from Norwich to Liverpool, where he sailed on the Caronia in June 1914 and returned on the Lusitania in April 1915. He was lucky to cross the Transatlantic safely in either direction: the Caronia’s voyage from Liverpool on 2nd June 1914 was the last one before she was requisitioned for war service, and the Lusitania was sunk on 7th May 2015, just two weeks after Edwards made his return journey. Over a thousand people died when the Lusitania was sunk and it was a turning point in the war, encouraging the Unites States to be more involved. 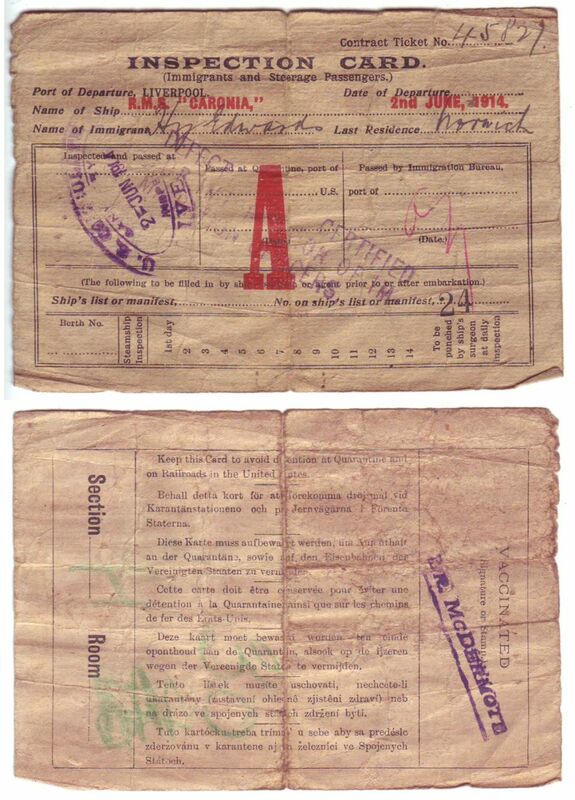 The Caronia’s outgoing passenger list from Liverpool shows Henry Edwards to have been a printer, aged 50 and the incoming passenger manifest shows he landed at Boston and gives a lot more detail, not all of which may have actually been true! Henry was single, could read and write, came from Norwich and was heading for Canton, a town near the Canadian border between the St Lawrence River and the Adirondacks in New York State. His marital status immediately comes into question as the manifest states he would be staying with a son (‘cousin’ has been crossed out) and that he had resided with his father at 5 Trafalgar Street in Norwich. We have found that his father had actually died 20 years previously, but that his brother Alfred lived at this address. We have also found no trace of him being a printer, but evidence that he was a boot-maker, although, confusingly, there was another Henry (mostly referred to as ‘Harry’) Edwards in Norwich who was a printer, had a brother called Alfred and a father called James! Edwards’ life in Norwich is extremely sketchy, and it is only the Trafalgar Street address that has allowed us to identify him. The Boston manifest also describes his appearance: 5’8” tall with fair hair and grey eyes. We can only speculate as to the reason for his journey to the United States, and the information we have doesn’t give too many clues. He appears to have travelled out with a Rebecca Warrington, a nurse from Yorkshire and a younger married couple by the name of Hinchliffe to Canton. There’s a possibility that Mrs Warrington being a nurse was relevant, as it appears that the word ‘senility’ has been pencilled in over the bit that states he is in good health. (However it seems likely that he lived until at least 1924, and possibly 1955.) 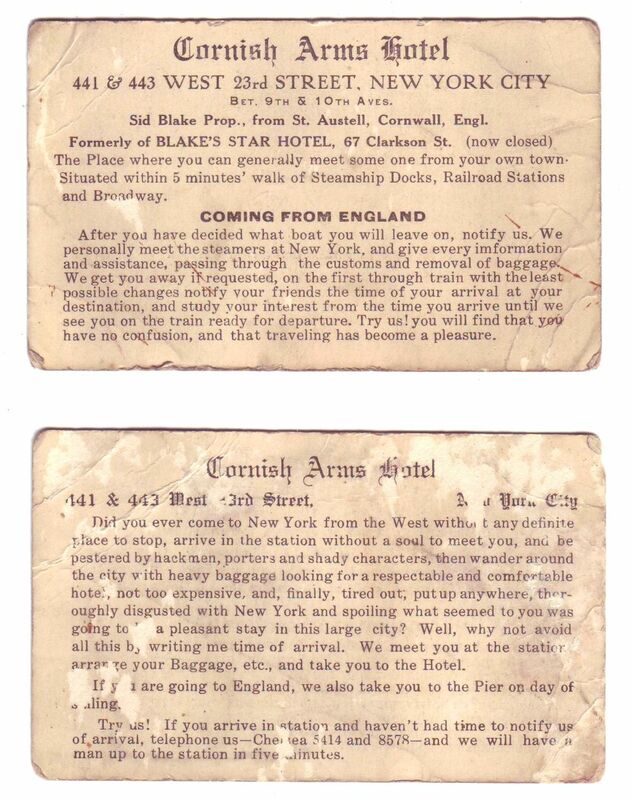 It may be that this was a friendship of convenience, as passengers needed to state an address in the US. He returned in April 2015, alone, after a stay of ten months. Was he originally intending to live or stay there? 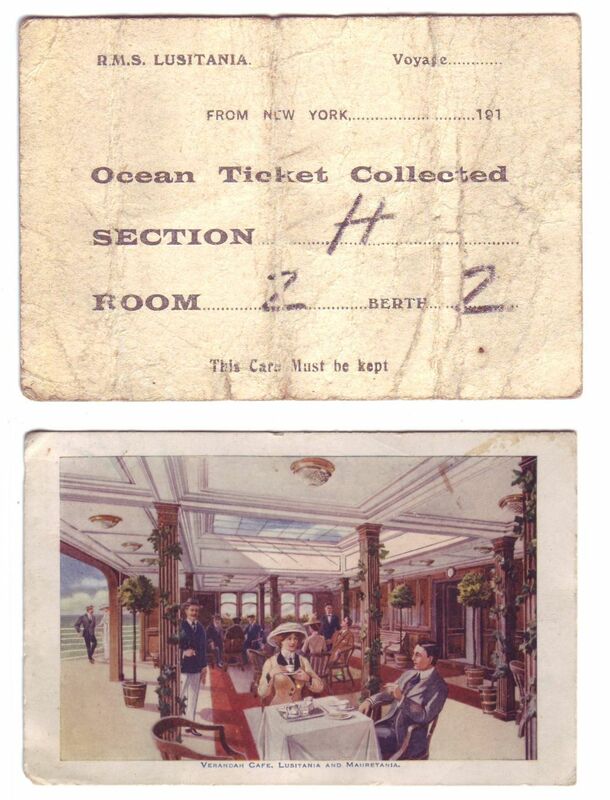 He had enough money to sail to the USA and to return (third class tickets in either direction) and had the minimum of $25 with him. We will probably never discover his motivation for sailing to the States, but he took the dulcimer with him, so it was clearly important to him. 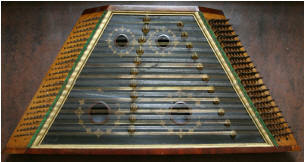 The dulcimer was acquired by Frank Read’s daughter, Sandra Adcock from an antique shop in Wymondham, Norfolk and nothing is known about its ownership in the seventy or so years since Henry Edwards’ death. The instrument now belongs to John Howson. 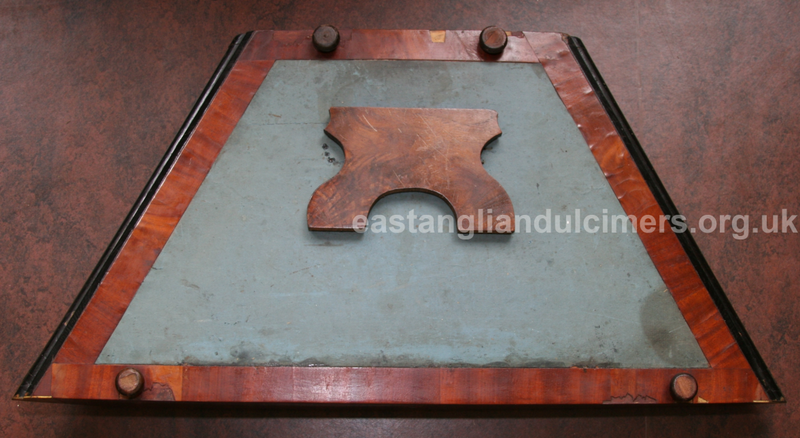 In 2018 we were contacted via the Nonsuch Dulcimer Club by someone who had bought a dulcimer in a local saleroom and wanted to sell it. 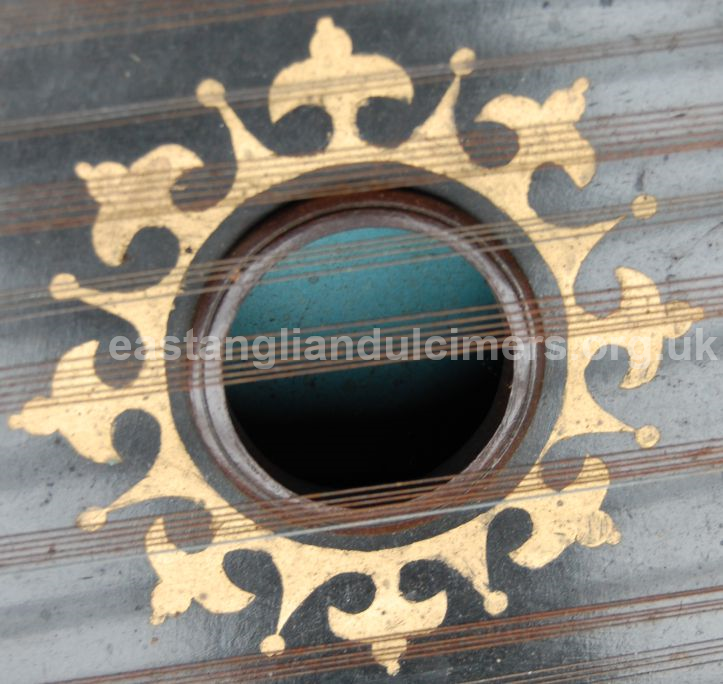 On this dulcimer is a brass plaque with the inscription 'H. 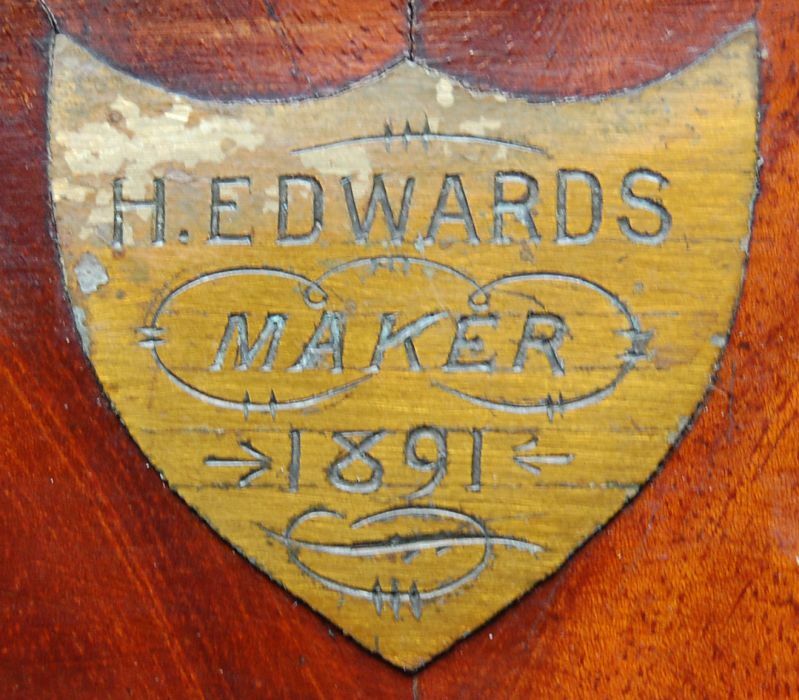 Edwards maker 1891'. 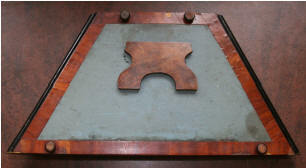 We can only presume this is Henry Edwards, so it would seem that he was not only a dulcimer player but a maker as well. 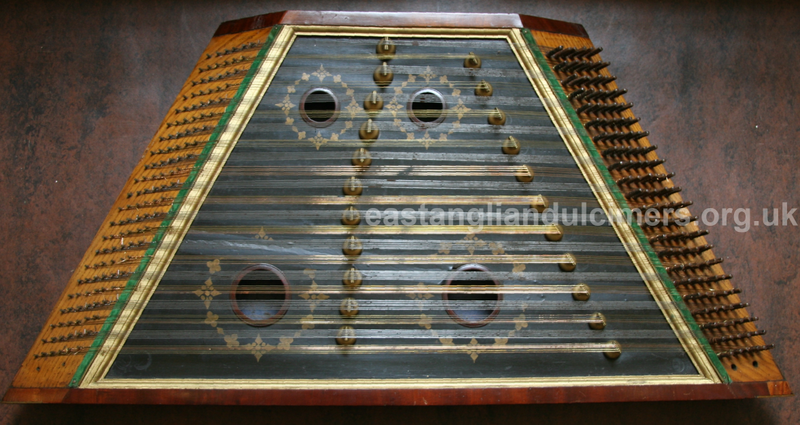 What is also interesting is how similar it is to the Widdows dulcimer, including six strings to a course.